Disclosure: I received these books in exchange for this post. This post contains affiliate links. Summary: Ian Fossor is last in a long line of Gravediggers. 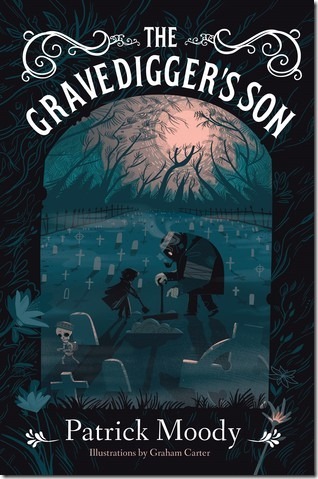 It’s his family’s job to bury the dead and then, when Called by the dearly departed, to help settle the worries that linger beyond the grave so spirits can find peace in the Beyond. But Ian doesn’t want to help the dead—he wants to be a Healer and help the living. Such a wish is, of course, selfish and impossible. Fossors are Gravediggers. […] Just as Ian’s friend, Fiona, convinces him to talk to his father, they’re lured into the woods by a risen corpse that doesn’t want to play by the rules. There, the two are captured by a coven of Weavers, dark magic witches who want only two thing—to escape the murky woods where they’ve been banished, and to raise the dead and shift the balance of power back to themselves. Only Ian can stop them. With a little help from his friends. And his long-dead ancestors. My daughter Morgan read this book. She has some morbid curiosity and dark stories really interest her so this was right up her alley. She’s not a big reader even though she’s always been a good reader so I was glad to find something that she wanted to read willingly. At the beginning of the book it was written in such a way that she had some trouble reading and understanding some of the words. It read like Old English. Summary: When Maud’s pet rat, Quentin, escapes in the middle of science class, it’s the very last straw. […] Maud is transferred from prim and proper Primrose Towers to dark and mysterious Rotwood Middle School—much to the delight of her teacher, classmates, and her perfect twin, Milly—but what is in store for Maud at Rotwood? […] Maud learns two very important things on her first day at Rotwood: first, all of the students and teachers are monsters and second, she’s finally found a place where she feels like she belongs. While Primrose Academy rejected Maud’s differences, Rotwood allows her to embrace them. Even though she’s not a monster, Maud must make everyone believe she is in order to stay at Rotwood with her new friends. The book is pretty funny. Maud is a total daredevil, and I guess she is not who you would call a ‘’great’’ student but her principal at her private school is the absolute worst principal EVER. Just because Maud isn’t really a good student, her principal transferred her to a (literally) monster school!!!! 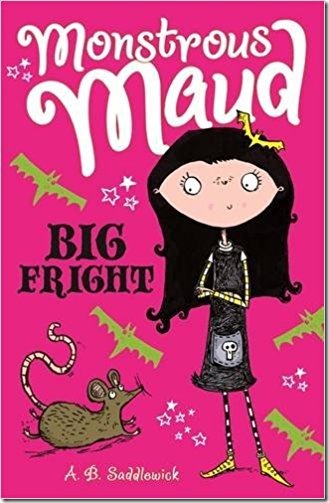 Monstrous Maud: Big Fright is listed for ages 7-10, I agree.